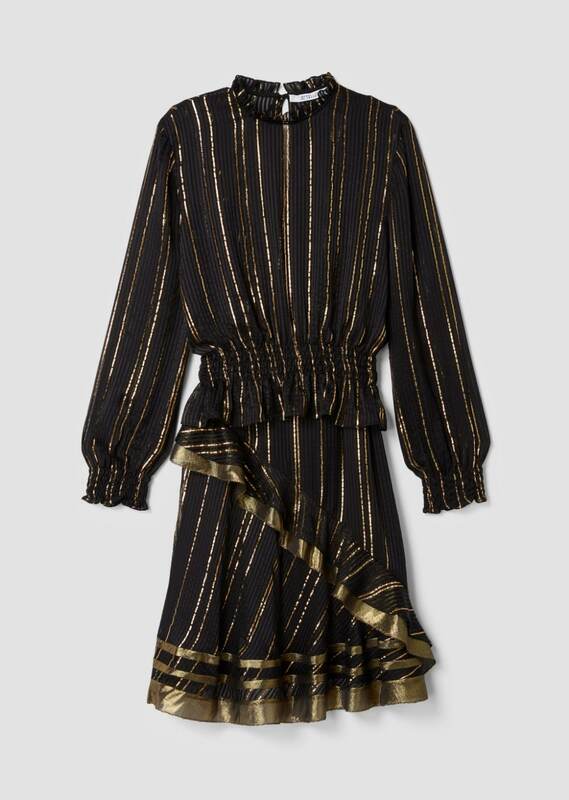 Long-sleeved ruffle collar dress in black lurex pinstripes with smocked peplum waist and layered, angled skirt. Back zip closure. Lined. Imported.